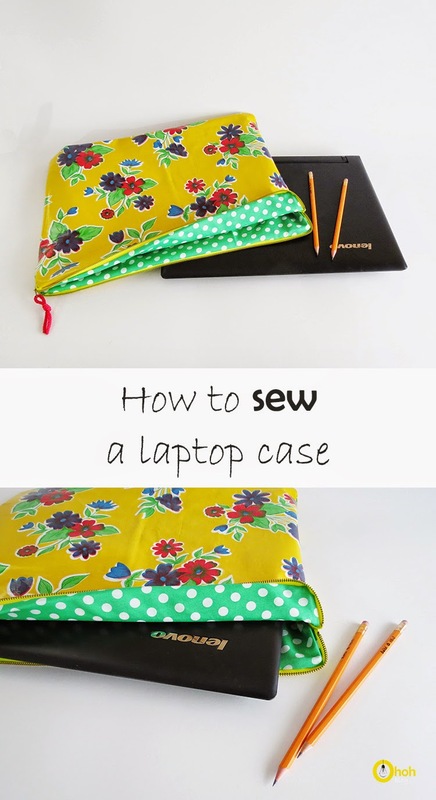 I didn’t have a case for my laptop, so I sew a funny one! 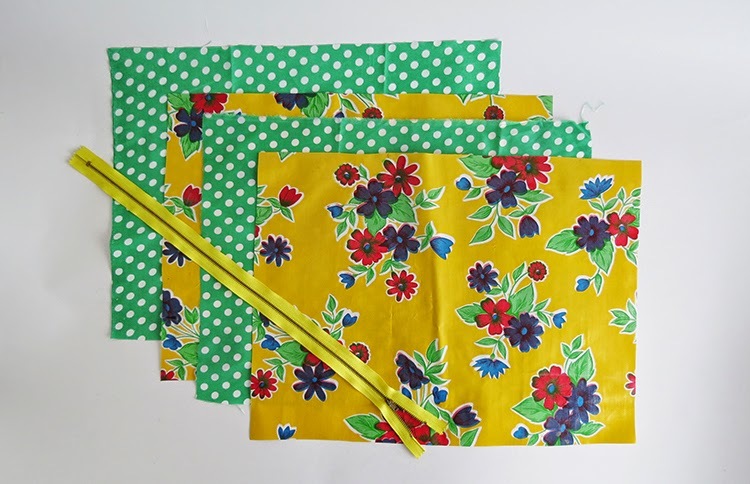 I decide to use oilcloth fabric. 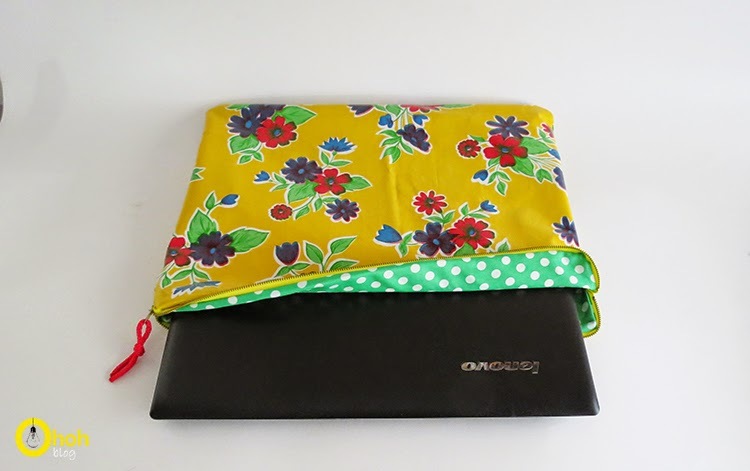 For a few reasons : Because my kids take swimming lessons 3 times a week and I have to wait for them in the humid, hot and chlorinated atmosphere of the pool, so maybe the oilcloth will protect my computer from their attempt to dive. 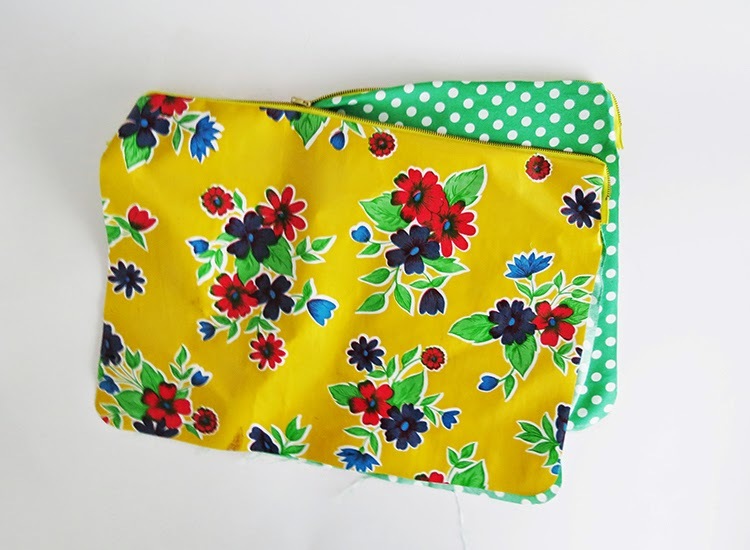 Because I like the bright pattern and I already had a scrap piece of fabric! It’s basically the same process as the 30 minutes pouch tutorial. You gonna need 4 rectangles, 2 for the outside and 2 for the liner, and a zipper. The rectangles are 1inch wider than my laptop. You rounded every corner. You can use a cap as a guideline. 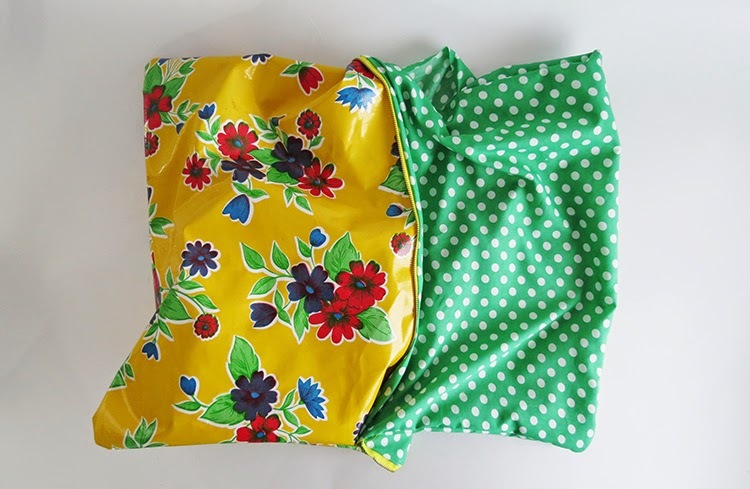 Place the liner fabric right side up and put the zipper on top right side up. 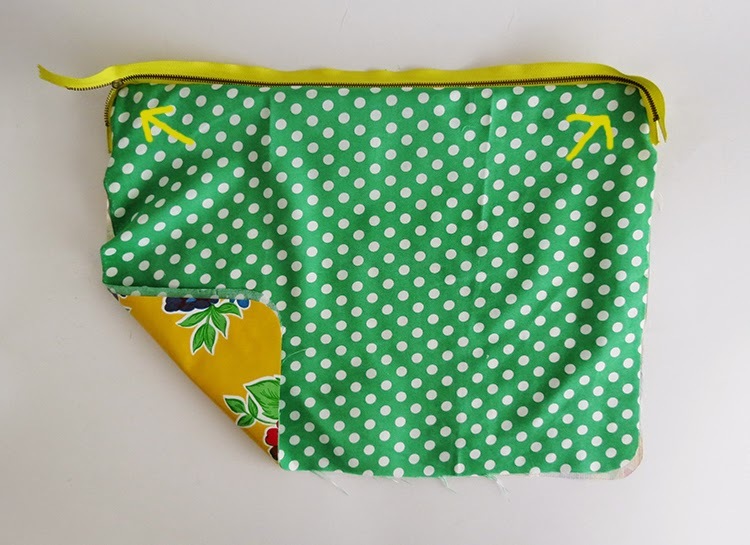 Then, place the oilcloth fabric on top, wrong side up. So both fabric have the right side inside. 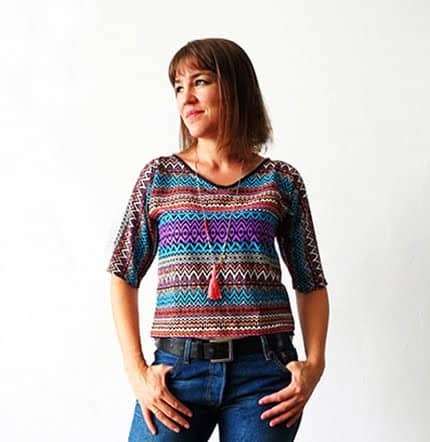 You pin fabrics and zipper together and sew along the zipper. I just use a few pin, and I put them close to the edges. 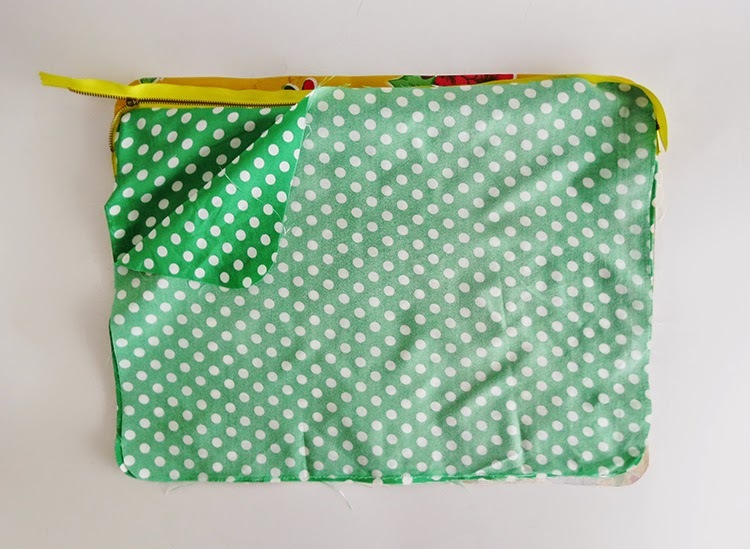 So the small holes made in the oilcloth are hidden in the lining. right side. 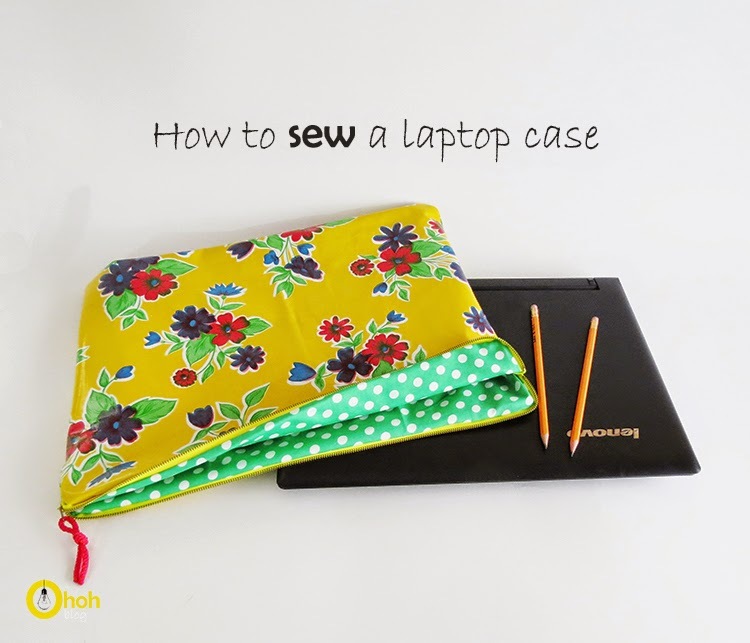 You pin fabric and zipper together and sew along the zipper. to return the case). 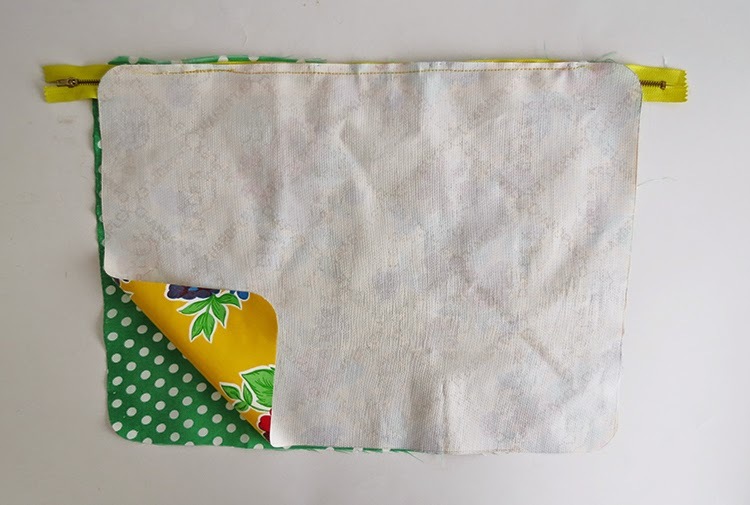 As the corner are rounded, you need to adjust the liner fabric and the oilcloth. It’s easier to sew one side at the time. 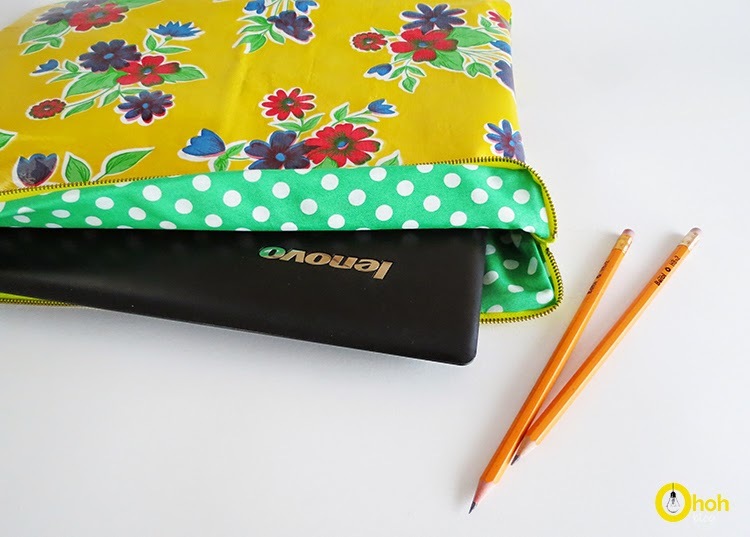 Et voila, a nice colorful laptop case!! 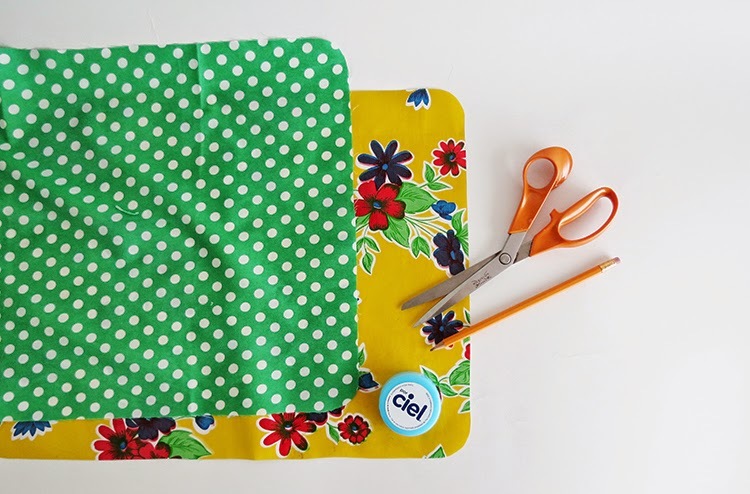 It was the first time I sew oilcloth and it was quite easy. I will definitely use it on other project. 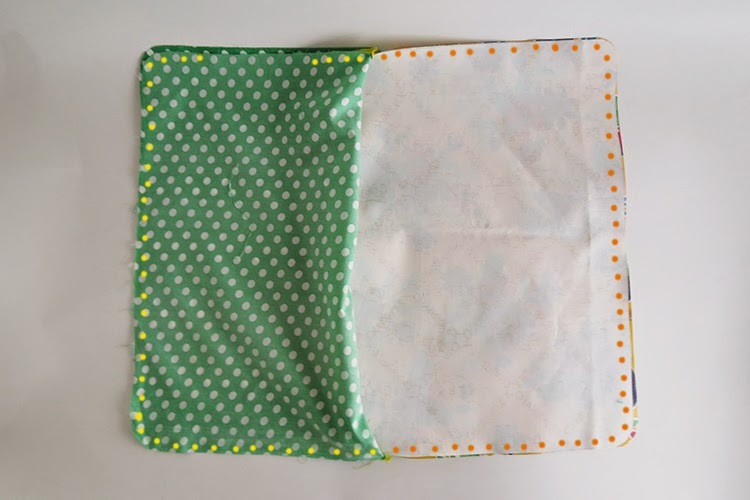 I want to try to make nice lunch bags for my kids. Meanwhile you can have a look at this trio zipped bag and at those 30 minutes pouches. Indeed, it's very easy to make! Have fun sewing Carolina!